Did you have an opportunity to hear stories about unusual friendships? 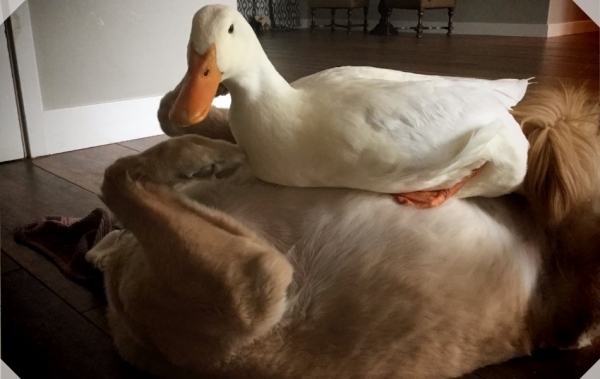 Even if you did, this time your heart is going to melt while reading a story about a dog and a duck, two inseparable buddies. We would like to introduce you to Rudy and Barclay, two friends of different kinds. Yes, you can see them in the picture standing proud just looking at you and trying to see if you are longing to hear a bit more about their unique relationship. These guys weren't close at the beginning. 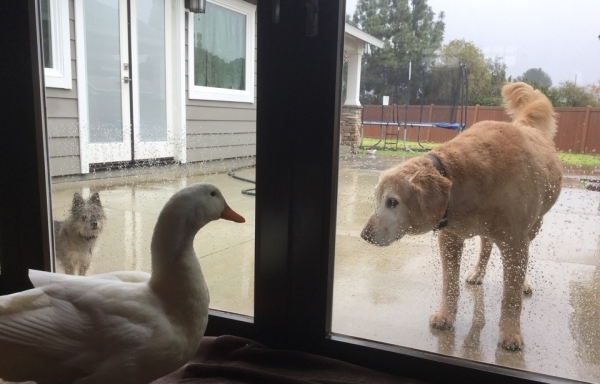 Just the opposite, they were like life enemies and Rudy, the duck, was furious each time he saw Barclay getting close to the duck coop. 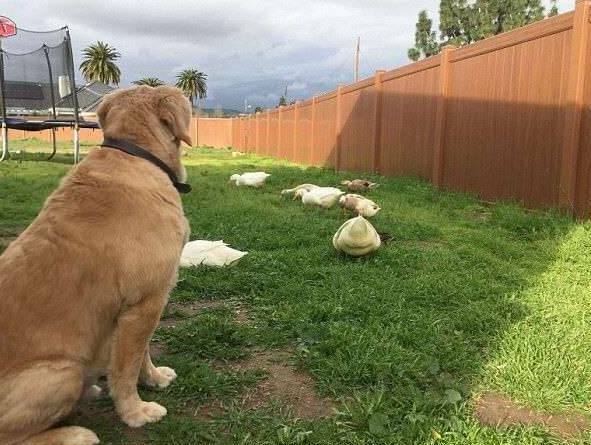 For a very long time, Barclay was only able to follow the ducks from a distance. The main reason these animals were not in love was a simple task to keep the food safe. Sometimes, Barclay was in a mood to steal ducks' food, and thus Rudy decided to keep him at distance. Like all big fellows who are in charge of keeping others safe, he was very aggressive in the moments the dog came a bit closer than it was allowed. Both of them were calm only when they were not in direct contact and this is why the glass door was the best solution to keep them from fighting. However, these are the pictures from the pastime. Now, everything is different. It is strange how this story got an entirely different course, but miracles can happen sometimes. 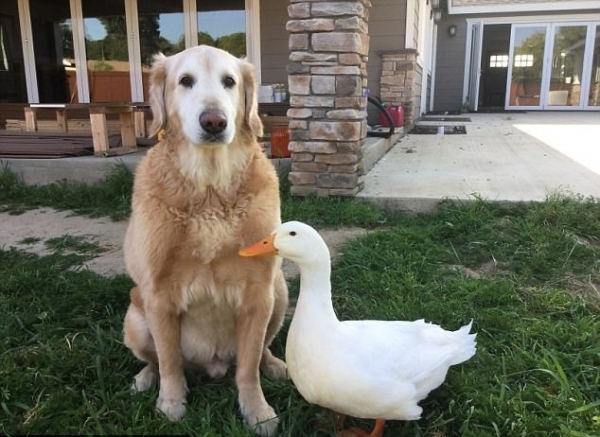 Although every time Barclay came close to steal the food or sniff other ducks, Rudy would react loudly and make him go, once the dog decided not to be scared anymore. 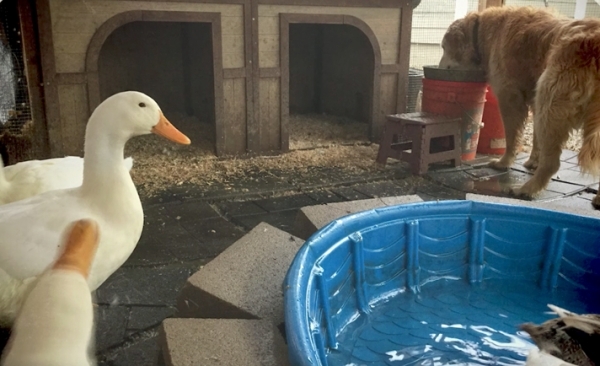 That was something the duck didn't expect, and somehow from that moment everything has changed, and the animals became closer.